i Our professional booking services are built upon the use of high-tech tools in order to organise your business travels. As part of our process, they are used for making reservations, rentals, as well as issuing and changing tickets or reservations for all types of transportation and lodging (planes, trains, automobiles, hotels, boats, ferries, etc.). All tools are leaders in the specific areas and allow us to find correct information, compare different options, and choose the best solutions. Flexible and reliable, they help us to meet your needs and expectations. In the airline industry, the Spanish business Amadeus provides travel solutions to nearly 350,000 agents and to just over 5,000 websites on the international level. At BELBUR Travel, we have chosen their system called Amadeus Global Distribution System (GDS), the largest reservation and air travel processor in the world. It draws together 170 airline companies and helps us to book tickets, manage inventories, and carry out a number of transactions. 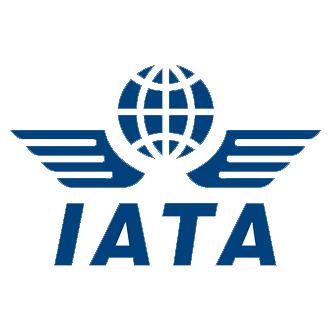 Good to know: For travel by air, BELBUR Travel holds full IATA accreditation, which translates into convenience and time saved for our clients. The French leader in the railway industry, RésaRail is the computer reservation system used by the SNCF national railway company. It gives us access to all timetables and fares on the French market and allows us to make reservations and issue train tickets. Accredited by the SNCF since January 2015, BELBUR Travel can carry out the same transactions as an SNCF agent located in a train station. An online reservation application by SNCB Europe, @lantis is made available to business travel agencies that record a high number of train ticket sales. Accredited by SNCB Europe, BELBUR Travel has the ability to carry out as many transactions as an in-station agent. For the hotel sector, we use TELDAR. This system offers search engines to compare prices and reserve hotel rooms. Using TELDAR affords our customers increased comfort over the course of their business travels. No need to pay on site – reservations are prepaid by the agency and you will be provided with a voucher to present at the hotel. Sunny Cars offers all-inclusive car rental services. The process is straightforward and convenient: everything is included and paid for in advance. As a result, there are no additional fees, even in the event of damages. Only a few specific requests require an additional fee, such as one-way rentals, delivery of a vehicle to a meeting point (hotel, airport, etc. ), or children’s car seat rentals. In short, all of these tools allow us to organise tailor-made and cost-effective business trips for our clients. A canceled trip, a lost luggage, a vehicle breakdown, a medical issue… As incidents always occur when unexpected, we provide our clients with European and International Travel Insurance. Partner with Touring, insurance leader on the Belgian market, our client are covered either for a one-off trip as well as frequent journey. We offer several insurance options and packages as well as long term subscription, for you to travel safely. In case of a medical emergency, our network of referenced doctors and hospitals will take coe of your problem, all over the world and 24/7, without any deductibles welcome you all over the world, 24 hours / 24 and 7/7, no deductible and without any limits of medical expenses.